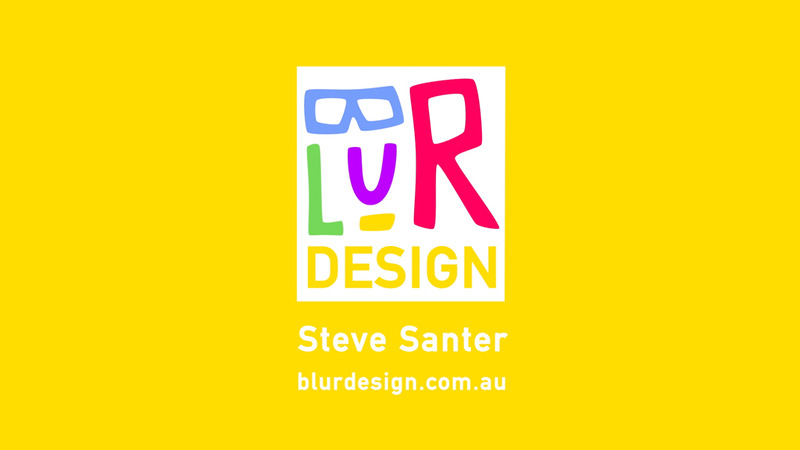 This is new branding and logo design for my design studio: Blur Design. Hand drawn lettering to retain the tactile, hands on, process that all my design work entails. It symbolises separated elements to creates a whole, essentially a commentary on design which needs to account for so many aspects and influences that dictate the end designed result. I’m currently doing my Masters of Design Futures with RMIT University. This course is making me appreciate what has been a reality for me for over half my 15 year career in the design industry, that I do not adhere to a boxed in form of design, I’m not just a Digital Art Director, UX designer, or UI Design or Animator. I design and create solutions for a wide range of clients from TV to start up, to well established clients. I talk business solutions, I talk processes, I consider design solutions from its place in the world and the intended use not just a required end product. Because my design practice does not sit in a box or wholly outside a box but somewhere in between, this fuzzy place of design is where I work; hence Blur Design. I also like the idea of the term ‘Blur Design’, design thinking processes are indeed being promulgated through many industries. This blurring of Design’s place in the world, from Design Doing and Design Thinking processes makes me wonder where my own Blur Design practice will end up in the years ahead.